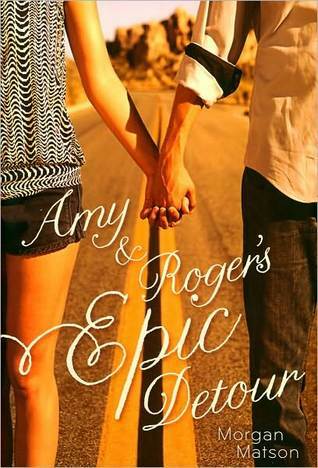 Morgan Matson’s debut, Amy & Roger’s Epic Detour is one of my favourite books ever. It put Matson on my auto-buy list, and I’m always super excited when I see she has a new book coming out. Between the title and the cover of Since You’ve Been Gone, I couldn’t wait to read this book. Despite a slow start, once I finally got into Since You’ve Been Gone I really enjoyed it. I found Emily easily to connect to. We have very similar personalities - a bit timid in certain situations, afraid to step outside our comfort zones, happy to take a backseat and observe rather than be part of the action. I’ve had friends like Sloan, those types of friends who are the life of the party, are up for anything, and make you feel special in a way no one else has. When that friend is around, you can do anything, and when they’re gone, you feel their absence in a very acute way. This emotion came across very well in the book, and my heart broke for Emily with how lost and alone she felt when she realized Sloan was gone and might not be coming back. Enter ‘the list’. Sloan was always giving Emily lists of things to do on trips and vacations, even though she knew Emily likely wouldn’t do any of them. She wanted the best for her friend, and she wanted her to know she could survive without her. Emily hoped the list would somehow lead her to Sloan, so even though some of the tasks seemed terrifying, she was willing to try, and I loved that about her. Watching Emily go outside her comfort zone, try new things, and make new friends was incredible. Throughout the book I laughed, teared up, and cheered Emily on as she grew and learned. I admired her so much and found myself feeling inspired by the way Emily started thinking for herself, and not always going by what Sloan would have wanted or done or recommended. There were moments of huge growth where I wanted to laugh and high five her and congratulate her, and then moments of quiet, sometimes painful growth where I just wanted to hug her and tell her everything would be all right. There were great secondary characters in this book, too. Most of what we saw of Sloan was in flashbacks. I alternately loved and hated her for a variety of reasons, but ultimately, it was clear she loved Emily. Frank, Collins, and Dawn added a lot to the story and helped Emily in ways both big and small. I wasn’t entirely sure about Frank at first, but it didn’t take long for me to love him. Emily’s parents and little brother, Beckett, were great additions, too. I loved the ending of Since You've Been Gone. 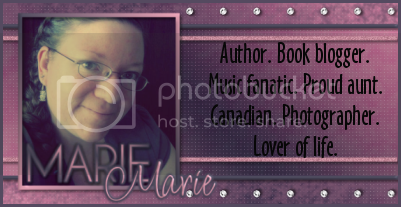 I honestly didn’t know what to expect as the story began to wind down, and I was afraid of how things would end. I think Matson did a great job of tying things up, but also leaving it open enough to let us make our own guesses and assumptions. The characters are young and have so much ahead of them, so the ending suited the book, and left me feeling satisfied. You get the feeling that anything is possible for the characters, and that left me with a big smile on my face…and maybe a few happy tears, too. Have you read Since You've Been Gone? What did you think? If you haven't read it, do you plan to? Have you ever had a friend like Sloan, that larger-than-life person who brings you out of your shell?